A total of 180 women were recruited for the study and were randomly assigned to the combined acupuncture and herbs treatment group, herbal monotherapy control group 1, or ibuprofen monotherapy control group 2. The treatment group was comprised of 60 women, ages 17–28 years (mean age 20.1 years), with a mean dysmenorrhea duration of 3.7 years. Control group 1 was comprised of 60 women, ages 16–30 years (mean age 19.3 years), with a mean dysmenorrhea duration of 3.3 years. Control group 2 was comprised 60 of women, ages 15–31 years (mean age 21.1 years), with a mean dysmenorrhea duration of 4.2 years. There were no statistically significant differences between the three groups prior to the beginning of the investigation’s treatment protocol implementations (p>0.05). Diagnostic criteria for the study were abdominal or lumbosacral pain before, during, or after menstruation. Pain was described as dull, distending, or stabbing in nature, and was accompanied by nausea, vomiting, cold limbs, or cold sweats. The symptoms were cyclic in nature and, in some cases, so severe that they led to fainting. The women were required to be ages 15–35 years, have a regular menstrual cycle lasting 25–34 days, and have received no related treatment in the month prior to the study. All women were approved by the hospital ethics committee and gave voluntary, informed consent to participate. Exclusion criteria included secondary dysmenorrhea due to uterine fibroids, adenomyosis, endometriosis, pelvic inflammatory disease (PID), recent analgesic treatment, damaged skin at acupoint sites, concurrent heart, liver, kidney, or hematologic diseases, psychiatric disorders, pregnancy, or lactation. Women having previously given birth were also excluded, as were those currently taking part in other clinical trials. Needles were inserted and a rotating technique was used to stimulate the acupoints. After the arrival of deqi, the needles were retained for 30 minutes. Needles were stimulated manually every ten minutes, a total of three times per treatment. The women in control group 1 were prescribed Huo Xue Hua Yu decoction as detailed above but did not receive acupuncture therapy. The women in control group 2 were prescribed ibuprofen (300mg, sustained release capsules) to be taken morning and evening for four consecutive menstrual cycles. The women were asked to rate their menstrual pain using the numeric rating scale (NRS) and were given a dysmenorrhea severity score according to official Chinese medicine gynecology research guidelines. A score of <8 points indicated mild dysmenorrhea, 8–14 points indicated moderate dysmenorrhea, and >14 points indicated severe dysmenorrhea. Uterine arterial blood pressure resistance index (RI) was measured by B-mode ultrasound scans. B-mode (2D mode) captures two-dimensional images and visualizes anatomical structures. Assessments were made before and after the four-week study period and at a three-month follow-up appointment. At the three-month follow-up, women with an absence of pain and a dysmenorrhea severity score of 0 were classified as cured. For women experiencing an improvement in pain and a reduction in dysmenorrhea severity scores of over 25%, but whose improvements were not maintained at the three-month mark, the treatment was classified as effective. For women with no improvements in pain and reductions in dysmenorrhea severity scores of under 25%, the treatment was classified as ineffective. In the acupuncture plus herbs treatment group, there were 44 cured, 11 effective, and 5 ineffective cases, yielding a total effective rate of 91.7%. In control group 1, there were 39 cured, 13 effective, and 8 ineffective cases, yielding a total effective rate of 86.7%. In control group 2, there were 36 cured, 8 effective, and 16 ineffective cases, yielding a total effective rate of 73.3%. The results indicate significantly greater improvements in the acupuncture plus herbs treatment group compared with the two controls (p<0.05). Mean pre-treatment RI scores were 0.91 (left) and 0.89 (right) in the acupuncture plus herbs treatment group, 0.88 and 0.87 in control group 1, and 0.92 and 0.88 in control group 2. By the end of the study, these had fallen to 0.76 and 0.72, 0.85 and 0.84, and 0.83 and 0.81 respectively. Significantly greater improvements were observed in the acupuncture plus herbs treatment group compared with the controls (p<0.05). Throughout the study, the women’s heart rates, blood pressure, body temperature, and liver and kidney functions were monitored for adverse events. No adverse events were reported in the treatment group or control group 1. However, in the ibuprofen control group 2, there was one case of increased irritability, and one case of reduced appetite. Neither of these events were classified as serious, and all women completed the study. 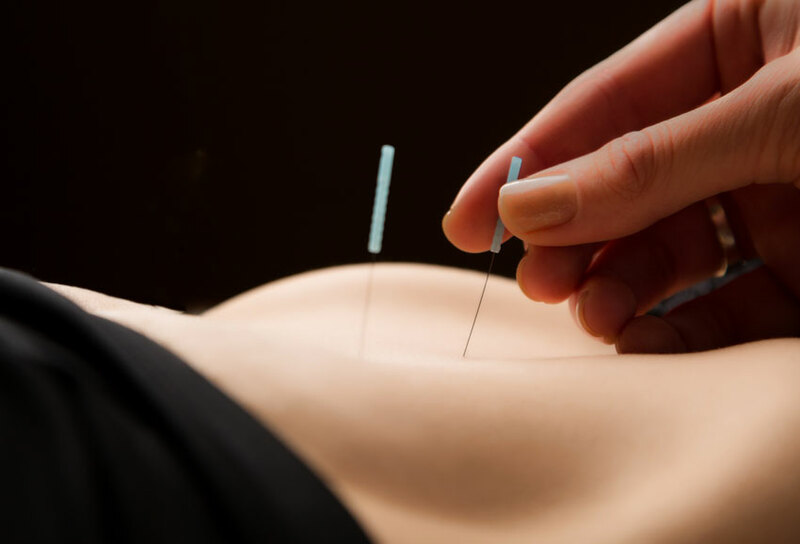 The results of this study indicate that the combination of acupuncture and herbs significantly reduces the severity of dysmenorrhea and performs better than ibuprofen or herbal medicine alone. The researchers determined that the acupuncture and herbal medicine treatment is safe and is not associated with adverse effects. 1. Peng Yao (2018) “Clinical Study on the Treatment of Primary Dysmenorrhea with Acupuncture Combined with Huo Xue Hua Yu Decoction” Jiangxi Traditional Chinese Medicine Vol.49 (430) pp.53-55.